Mold and mildew grow easily on a variety of surfaces. According to the Environmental Protection Agency, mold and mildew can cause a variety of health problems, like allergies and asthma. Therefore, they should be cleaned up promptly. The EPA recommends using a wet vacuum to remove mold, and mold cleaners containing bleach and other mold-killing chemicals are also a good option. Mold and mildew grow on walls and other surfaces in homes. For large buildings and large moldy areas, the EPA recommends using a wet vacuum cleaner or steam cleaner to clean up mold. This method removes most of the surface mold and also kills mold spores trapped within porous surfaces when they dry out. Individuals with mold problems in homes, like small areas of mold in a bathroom shower or on a bathroom wall, may opt to use a commercial mold cleaner or bleach solution to kill and remove mold. These cleaners kill mold spores and make it easy to wipe them off of nonporous surfaces. The EPA recommends using a wet vacuum to clean mold off of surfaces or a steam cleaner for carpets and upholstered furniture. Depending on the amount of mold, cleaners should at least wear gloves, protective eyewear and a respirator when dealing with large amounts of mold to protect themselves from health problems from the mold spores. 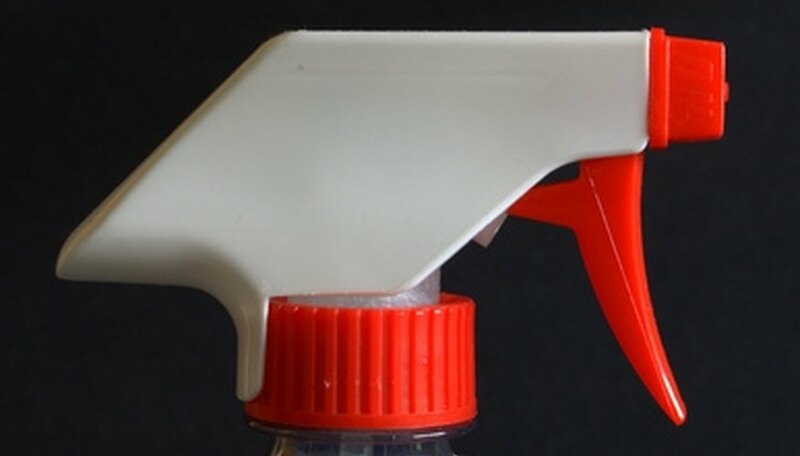 Grocery stores, home improvement stores and almost anywhere that sells regular cleaning supplies will have liquid spray mold cleaners in stock for a relatively inexpensive price. North Dakota State University also advises that a homemade solution of bleach and water will kill mold spores. To kill mold on a nonporous surface, spray a mold and mildew cleaner or a solution of bleach and water on the mold, wait for a few minutes, and wipe the mold away. 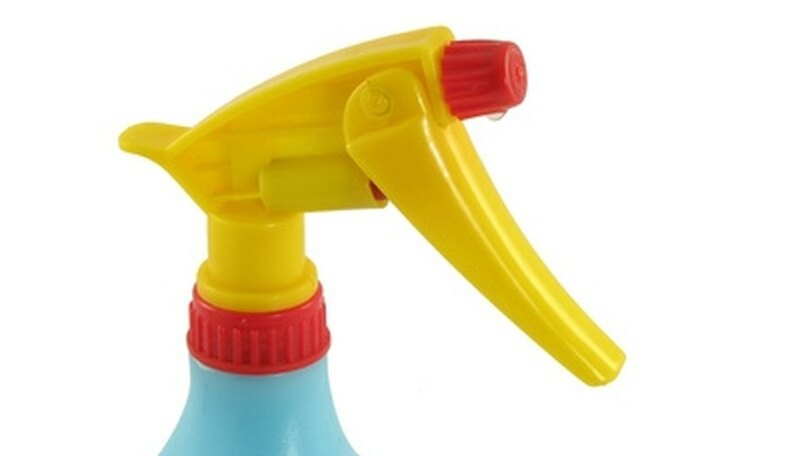 Mold and mildew cleaner sprays often contain hazardous chemicals and fumes. 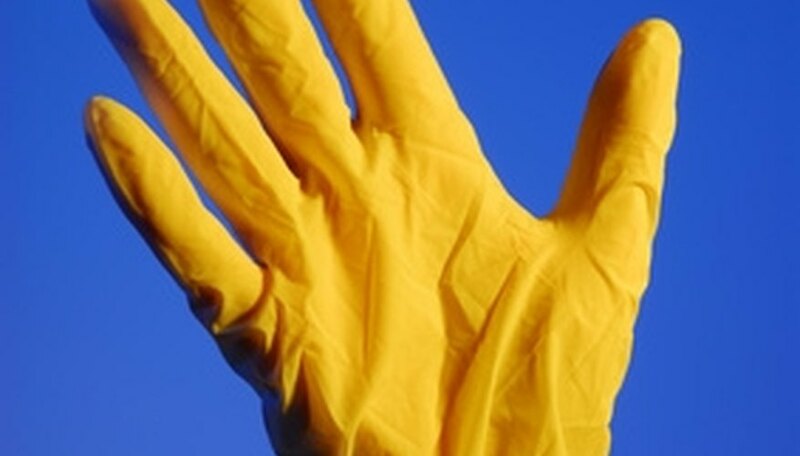 Wear gloves to protect the skin from the chemicals. Bleach stains clothes and fabrics, so wear old clothes and cover furniture with plastic sheets when spraying cleaners that contain bleach. Open windows and turn on fans to minimize exposure to unhealthy fumes from the cleaners. Wear protective goggles, especially when spraying cleaners overhead. Wet vacuum cleaners and cleaning sprays have their limits. They only kill mold as far as they can seep into porous surfaces. When mold gets into drywall or underneath paint, it may be necessary to physically remove the infected material rather than just cleaning it. For very large amounts of mold, exposure to the mold spores may even be a health risk, and it can be best to hire professional mold remediators.